Craft IRL or online with The Neon Tea Party! 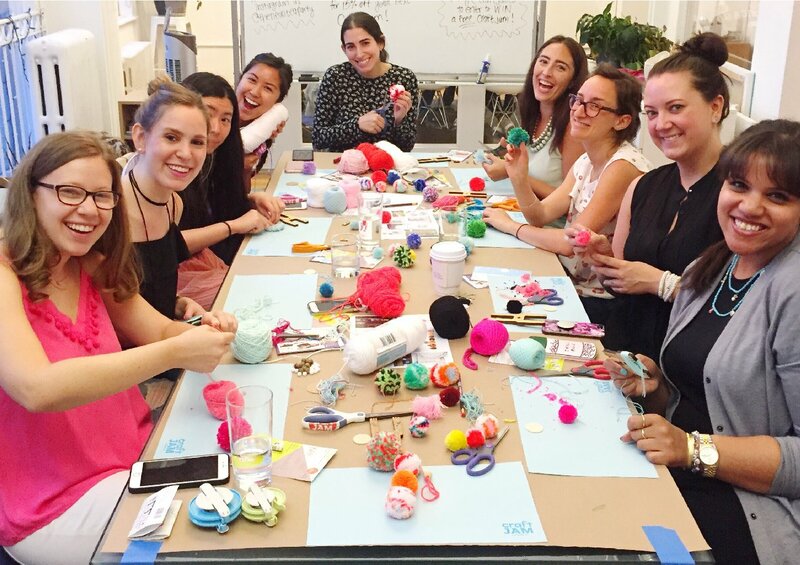 Servicing the Greater New York City area, you can join us for a slew of fun craft workshops, or sign up for a virtual course that you can access at home, no matter where you live! Scroll down for more information on upcoming workshops and our current offering of virtual courses. Learn awesome projects with The Neon Tea Party anytime, anywhere with our online class series. Be sure to check out our FREE pom pom lesson! 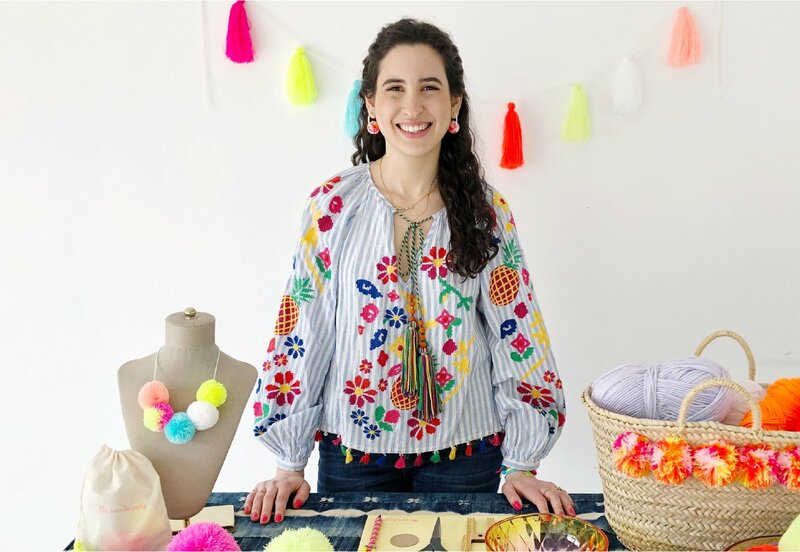 The Neon Tea Party offers a full schedule of craft classes, teaching on-trend, globally-inspired crafts including pom poms, piñatas and more! Check out which classes we have coming up in your area.